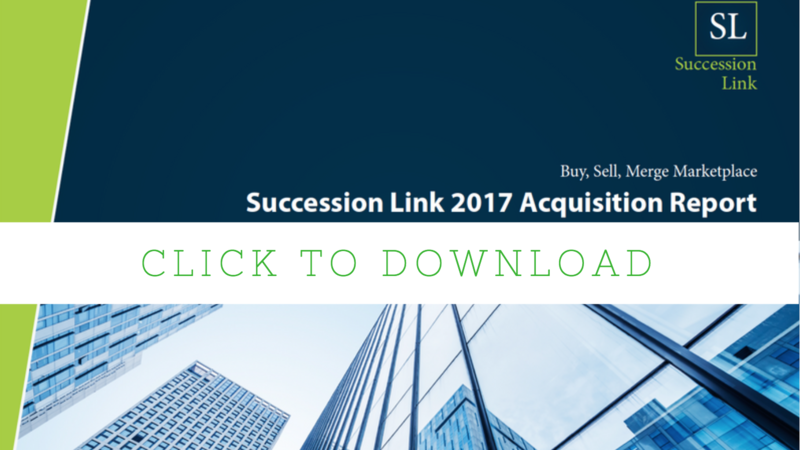 This study was compiled in April, 2018 by Succession Link (www.successionlink.com), the largest online marketplace for financial professionals who want to buy, sell or merge their practices. More than 44 financial advisors who had sold their practices in 2017 were contacted either by email, phone or live chat through the Succession Link website. Their responses to a series of questions were collected and the results are included in this report. The information gathered included demo- graphics of the advisory practice and information about the sell of his or her practice. Partici- pants were located in eight different states, with average assets under management (AUM) of $80,893,181 and average revenues of $461,090.